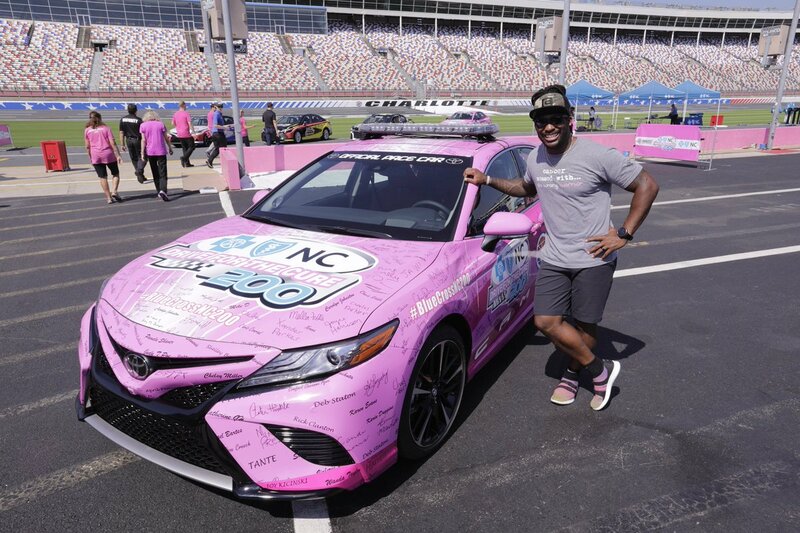 Conrad, NC – Advocates, NASCAR superstars and Football legends came together to show their support for breast cancer survivors at the Charlotte Motor Speedway last Thursday. 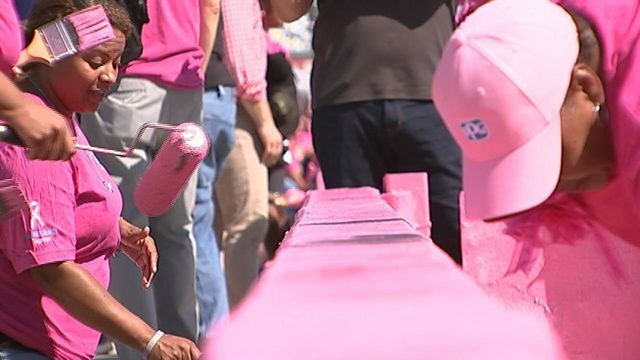 The 5th Paint the Pit Wall Pink event converted the speedway into a sea of pink as hundreds of advocates flocked to the historic site. This event is held to kick off various breast cancer awareness events leading up to the worldwide awareness month in October. The event began as breast cancer survivors in attendance yelled “Live Fearless” before getting down to business. It was indeed a statement to live their best lives despite having been diagnosed with breast cancer. In many cases, the fear comes from not knowing enough about the disease and how to get help after being diagnosed. This is what the organizers and supporters hope to extinguish with this annual event. The event also featured a collection of Blue Cross and Blue Shield of North Carolina employees. As a longtime ambassador of Blue Cross and Blue Shield, Johnson is glad to see more personalities from NASCAR take up the cause. Also in attendance was Carolina Panthers running back DeAngelo Williams. In 2006, Williams founded the DeAngelo Williams foundation in the name of his aunts and mother who lost their fight against breast cancer. Now, he is one of the state’s staunchest advocates of awareness and education. Williams lost his mother and four aunts to breast cancer. The Pro Bowl running back founded the DeAngelo Williams Foundation in 2006 to support the eradication of breast cancer through research and preventative care. Aside form lending much needed star power, he also agreed to drive the pace car for the upcoming Drive for the Cure 200 on September 29th. After all, isn’t the point of these events is to get people asking more questions about breast cancer?